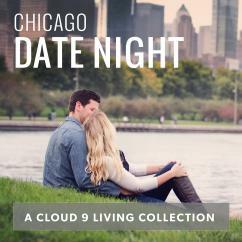 With Cloud 9 Living's Chicago gifts for couples, the Windy City is full of moments just waiting sweep special people off their feet. Surprise a favorite pair with a completely unexpected present for a special occasion, or give your better half a date they won't believe! 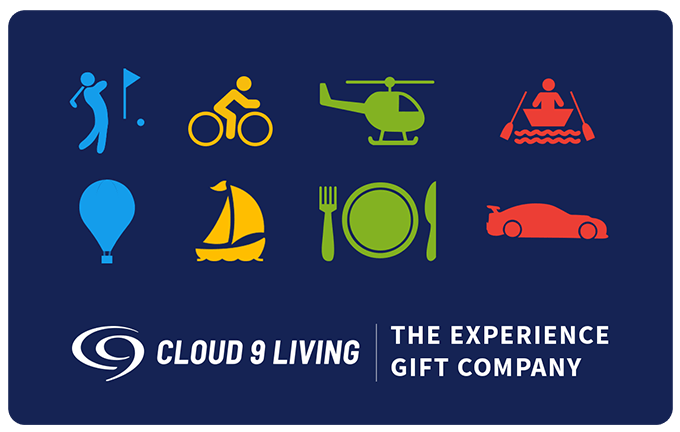 Cloud 9 Living comes to you with nonstop couples' gift ideas that easily complement any type of twosome. From food to flying, action to attractions, art to spa-ahhh time, and much more — these things to do in Chicago are best enjoyed when done as a double! 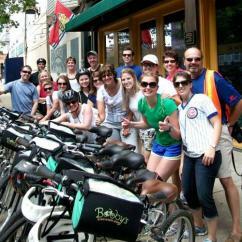 Experience all of the ins and outs of the Windy City with a variety of captivating Chicago city tours. Invite a couple who calls Chitown 'home' to discover untapped areas; or send visitors on an urban adventure, exploring new territory. Wander through famed neighborhoods like Wicker Park, Bucktown, North Side, River North, Chinatown, Little Arabia, and beyond! Navigate from spot to spot by foot, bike, Segway, boat, or car/bus. 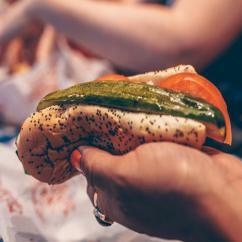 Taste unbelievable bites on a walking tour featuring Chicago's best foods. 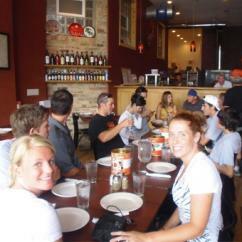 Find out what all of the fuss is about over its pizza pies. See amazing architecture and celebrated landmarks. 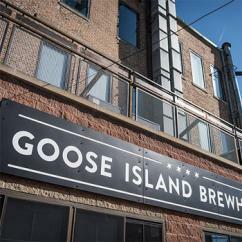 Get in touch with history on tours of Chicago featuring the renowned mobsters and Prohibition-style cocktails. Admire fireworks and sunsets, and so much more! Classic tours aren't the only gifts for couples in Chicago that showcase incredible sightseeing opportunities. 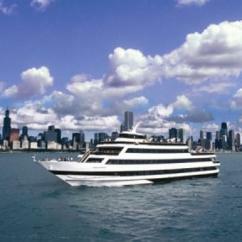 A host of cruises from Navy Pier are available, so why not treat 'em to some scenic wining and dining on the water? 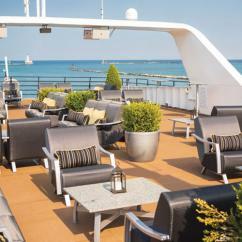 Experience magnificent shoreline views from the deck of a luxurious yacht on Lake Michigan. Offering unparalleled sights accompanied by on-board entertainment and delicious cuisine — this is, by far, one of the best things for couples to do in Chicago! But why limit sightseeing to sea level? For an ultra-unique way to check out Chitown, browse Chicago gifts for couples that go sky-high! 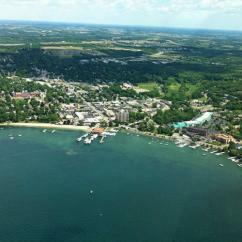 Unique flying experiences from Cloud 9 Living provide a thrilling way to marvel at the Windy City, Lake Michigan's beautiful waters, and the surrounding areas. From enchanting hot air balloon rides and helicopter tours, to an aerial getaway just for two over Lake Geneva, there are plenty of romantic ways to take to the air up there. And for those who simply love to get their hearts racing, don't miss out on couple activities in Chicago that come with plenty of adrenaline to be enjoyed together! Check out flying lessons that accommodate both a student and a passenger aboard an airplane or helicopter. 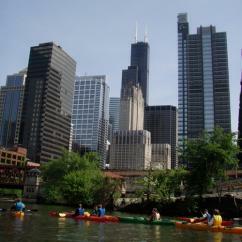 Treat a twosome to thrilling gifts for couples in Chicago's vibrant waters, kayaking among breathtaking urban scenery. Or take them to nearby race tracks to burn some rubber in stock, exotic, or Indy cars. 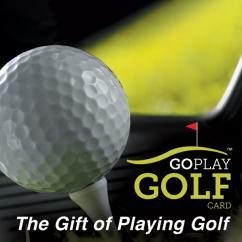 And loads of other exhilarating adventures for two to choose from by land, air and water abound where those came from! 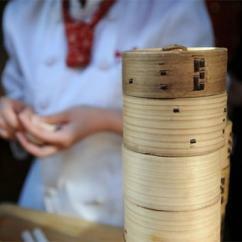 Plate up perfect gifts for couples in Chicago with the city's best eats, treats and beverages! 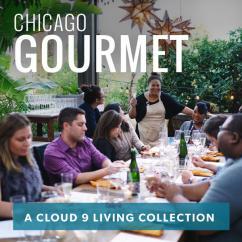 From mouthwatering food tours to fine dining on cruises, Cloud 9 Living offers an abundance of ways for couples to delight in Chicago's tastiest experiences! 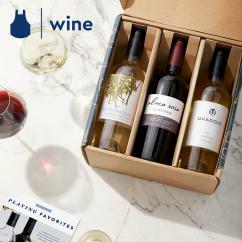 And for those happy couples who perhaps wish to enjoy delicious fare from the comfort of their own home — be sure to check out ways to host a wine tasting or dinner party for a lucky couple, in the good company of their family and friends. 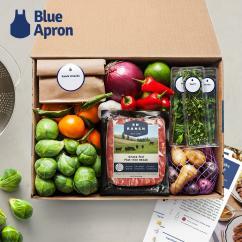 Then keep the food and wine supply flowing freely with Blue Apron deliveries, also available via Cloud 9 Living. 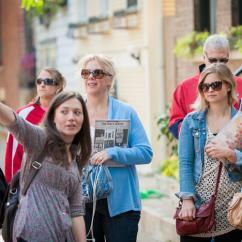 Guided food tours invite local or visiting participants to try something new, enjoy unique ethnic cuisine, savor traditional Chicago-style pizza, sip samples, and much more. This means they're ideal gift ideas for couples in Chicago who have just moved to the area, or established locals eager to learn more about this impressive city. Nothing will dually-satisfy an appetite more than a tasty route through various neighborhoods, while also taking in sightseeing, history, and fascinating urban facts. These flavor-packed gifts for couples in Chicago will take a twosome to enticing hot spots like Pilsen, Chinatown, South Side, North Side, Little Arabia, Little India, Bucktown, Wicker Park, and River North, as well as the city's highly-acclaimed pizza places. 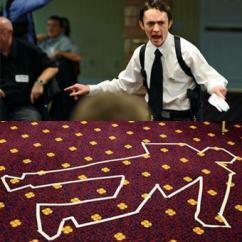 Care to invite a couple to kick back and relax as they commemorate a special occasion? 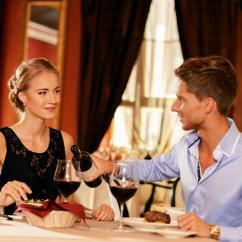 Or perhaps you're trying to plan a special afternoon or evening out for an elegant date? 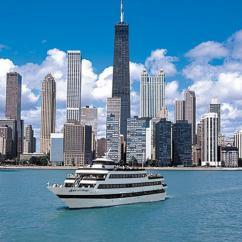 A brunch, lunch or dinner cruise from Navy Pier is one of the most romantic things for couples to do in Chicago. Board a luxury yacht and sail gently along the shorelines of Lake Michigan, making plenty of memories over dining, dancing and sightseeing. 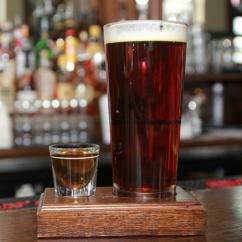 Raise a glass from one of the ship's full-service cash bars, toasting to the two of you! Admire the Chicago skyline, taking advantage of photo opps with famed attractions offering a stunning backdrop, such as Navy Pier, Hancock Center and Willis Tower. Customize this exquisite Chicago gift for couples by selecting the cruise from Navy Pier that best suits the pair or special someone you're looking to impress. 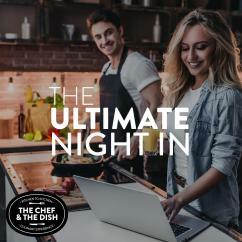 Choose between amenities like plated meals or buffet-style cuisine; live background music or a DJ spinning an array of songs; formal attire or slightly more casual wear. Gorgeous scenery, plenty of deck space to wander, cash bars, dancing, and lifelong memories are always included. 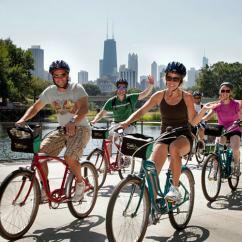 Experience the Windy City like never before with twice the action-packed gift ideas for couples! If you know a pair who loves to put a bunch of adrenaline in every rush — then you've found the right place for couples' gifts in Chicago! Scope out exciting experiences that are guaranteed to get their hearts racing by land, air, or water — with plenty of unforgettable, take-their-breath-away moments to boot. 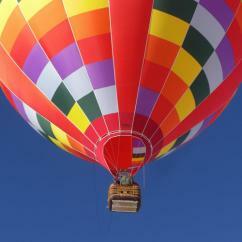 Send a pair to the air up there with an airplane, helicopter, hang gliding, or glider lesson! No experience is necessary to delight in this high-flying fun, and in many cases a passenger or spectator may get in on the action, either via the hangar area or in the actual aircraft itself. Which truly makes an aerial adventure one of the most unique things for couples to do in Chicago! Remember that whole saying about "couples who play together, stay together"? How about playing to not only to the air up there, but also straight out of the airplane?! Couple activities in Chicago don't get much more spontaneous than adding a lil' skydiving to the day. 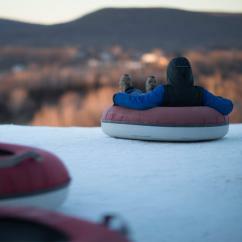 And to really put a new spin on a freefall — ditch the airplane entirely! Indoor skydiving in Chicago is an experience that makes one heck of a wedding or anniversary gift for a lucky pair as they celebrate taking the plunge. On the hunt for an aquatic adventure? 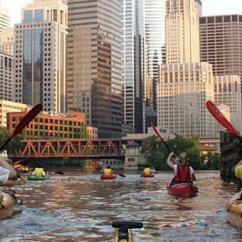 The area's many kayaking and boating experiences serve as both great Chicago gifts for couples and fun date ideas. Whether paddling along at sunset, during fireworks, or while admiring the city's skyscrapers and architecture — there's no doubt this outing will make a splash! 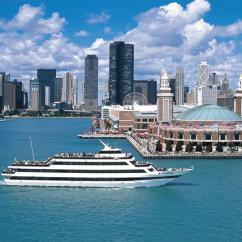 Add a little more "vroom" to the Chicago waters with a high-speed thrill ride on a 1400-HP boat! 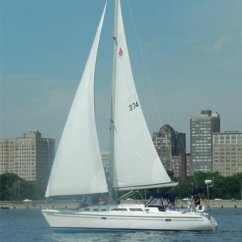 Or tackle waves aboard a sailing charter! 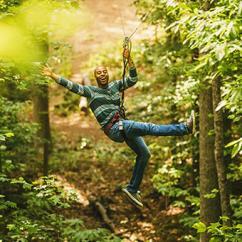 And for those looking for more outdoor action to set some special folks up with, a ziplining excursion is bound to be a winner. 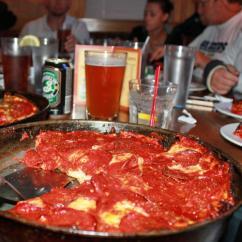 Want to find a top gift for Chicago residents who really wish to satisfy a need for speed? Look no further than exclusive race tracks like the Autobahn Country Club and Chicagoland Speedway! Simply stepping foot on such professional-circuit terrain will be enough to get a car-buff's heart racing. So just imagine what it will do for the daredevil duo who love burnin' rubber! Get those two into some of the world's fastest vehicles, with gifts for couples in Chicago like racing stock cars, Lamborghinis, Ferraris, and more. Whether they drive the cars themselves, or enjoy the sheer exhilaration of a thrill ride — they're sure to make miles and miles of unforgettable memories together.